It's a workaround, not a fix, but it will get rid of the incessant upgrade notification in iOS 12 until Apple issues a solution. AppleInsider sorts it out —and finds unexpected consequences too. If you've got this problem then you've got it a lot. 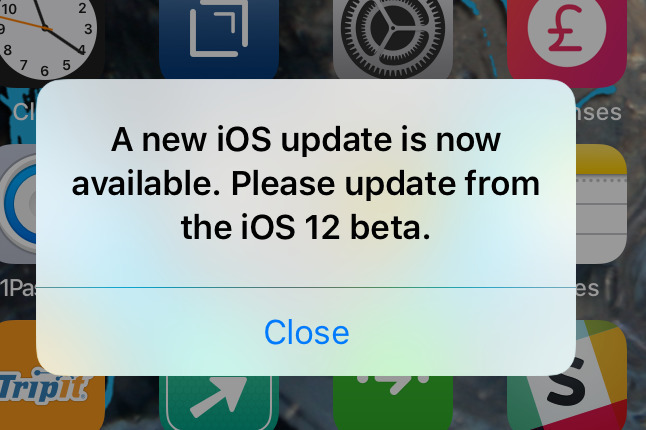 As of August 30, the iOS 12 beta has a bug that means it keeps telling you to update to the latest version. The thing is, you already have the latest version so there's nothing to update to. And when we say it keeps telling you to, it really keeps telling you. Every time you unlock your iPhone or iPad, you get this notification and you have to tap Close to continue. While there is no great solution until Apple fixes the problem, you can work around it. Go to Settings, General, Date & Time. Switch off Set Automatically. Then tap on the date that appears in blue and roll it back a month. The come out of Settings and you won't see the error ever again. The bug is not that your phone thinks there's a new update, it's that it believes the old one has expired. 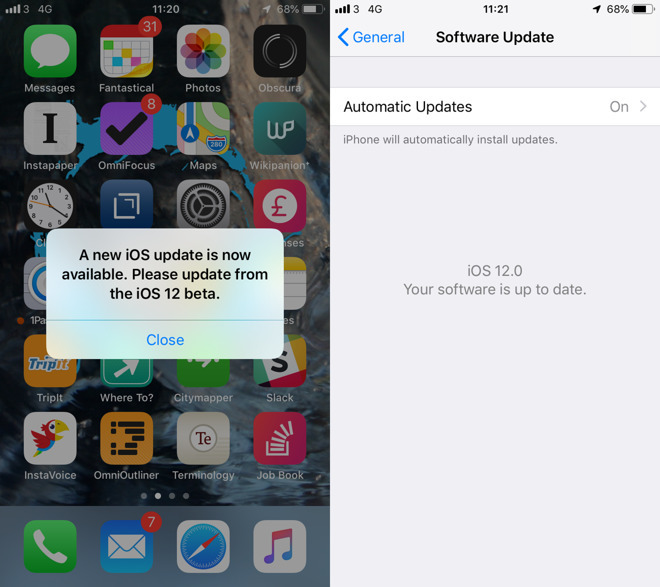 Every beta, whether iOS or an individual app, comes with an expiry date after which it will stop working. It's so that you get full functionality for the testing period but then once the final software is released, there aren't copies of the beta floating around. Somehow this iOS 12 beta release has the wrong expiration date and by changing your system back a month or a couple of weeks, the beta believes it's still valid. You need your iPhone and iPad to have the right date. It is ridiculous to have such an expensive device telling you the wrong one and it's going to throw out your exercise rings, too. Yet, it's not as bad as the incessant update bug. Watch for unexpected consequences, though. You know your calendar is going to show the wrong date for today and you know you're going to forget you've done this. That's why we recommend going back a month instead of a couple of weeks: we rolled back from August 31 to July 31 so that at least the day digit is right. However, the date and time goes much deeper into the system than you might think. Any documents you create, for instance, will have the wrong date stamp. Some websites won't load. And then there's this. 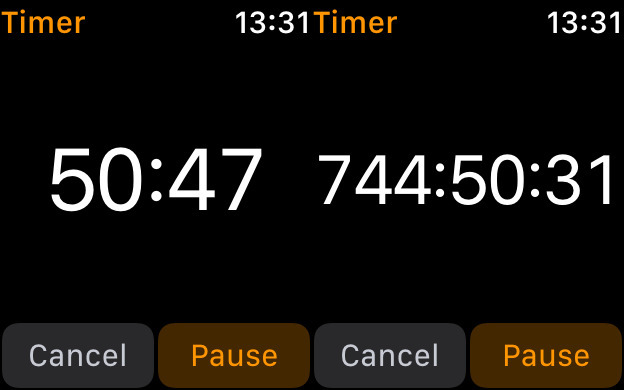 Imagine you've set a timer on your Apple Watch and it's counting down something like an hour. 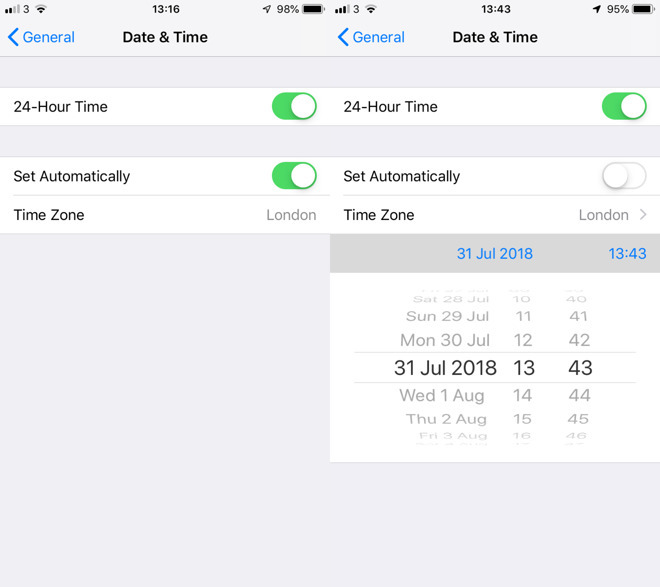 While it's doing that, you change the date on your iPhone —and see if you can spot a difference on your Apple Watch. Here's Before and After. So it's hardly an ideal fix, it isn't a solution and we'll ditch it the instant Apple addresses the problem. However, it is the only workaround that gets you a break from this exasperating bug. You've got the beta on a dedicate testing device, and not your main one, right?